Where focus is on abilities, not “dis” abilities, Abilities, Inc. pledges to support and enhance the quality of life for all our clients. We recognize the difficulty in meeting the challenges of daily living. This is why Abilities, Inc. promises to provide quality services. Abilities, Inc. pledges to offer diverse living options, with opportunities found in few assisted living programs. 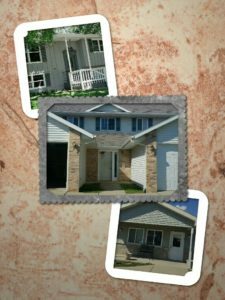 Whether an individual is best suited for a Community Based Residential Facility, an Adult Family Home, or an Apartment Program we will provide that option. Abilities, Inc. will also offer a structured Adult Day Care for daily programming needs. These environments will be staffed with trained professionals that will care for and nurture each and every client that we serve. Whether an individual has a Developmental Disability, Chronic Mental Illness, Traumatic Brain Injury, Alzheimer’s Disease, Dementia, AODA, Physical Disabilities or other special diagnosis, we can provide options for them. Abilities, Inc. pledges that our options and services will recognize the interests of the client, the county agent, legal guardian, and family members. We will promote community integration while ensuring safe living environments, as well. Abilities, Inc. is honored to be considered as a community option for such special individuals. We are available for tours and free comprehensive assessments.